Her dreamy frock is by designer Teena Sabrina Tan (whose Instagram bio reads "boho," in case you needed more proof of what aesthetic she specializes in) and features delicate lace blooms dotting a plunging bodice. 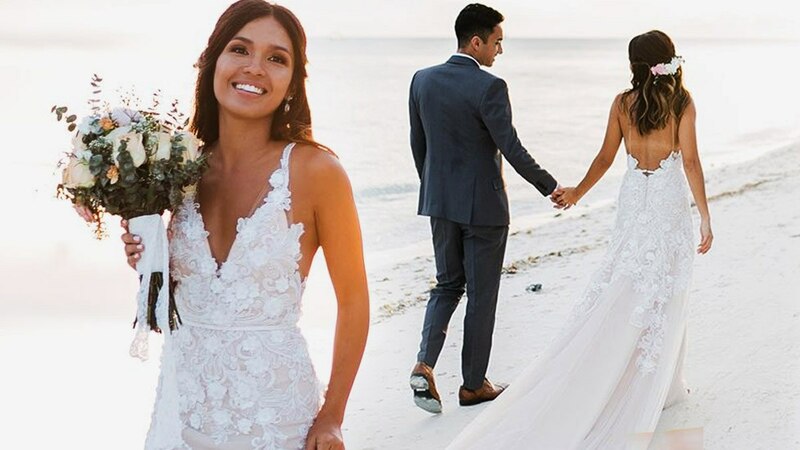 In her IG post, the bride said she wanted a dress "that’s blush, lace, and boho but at the same time still bridal", and Teena certainly delivered! We're in love with the gown's back as well—slim, dainty straps and a modest train? Insert wistful sigh here.